Kick Your Knees Up! Step in Time! 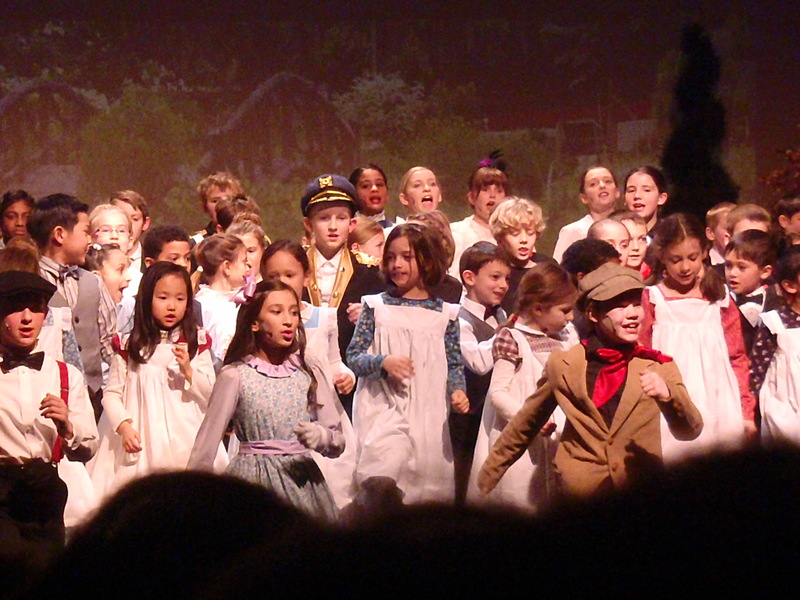 E’s school does a play/musical every spring. This year’s selection was Mary Poppins! One of my favorite movies of all time!! Yay!!! And, as typical, I could not stop myself from volunteering to make some of the costumes. Which ended up being 8 pinafores, 15 suffragette sashes, a maid’s skirt, a maid’s mop cap, and 2 Downton Abbey-esque aprons. 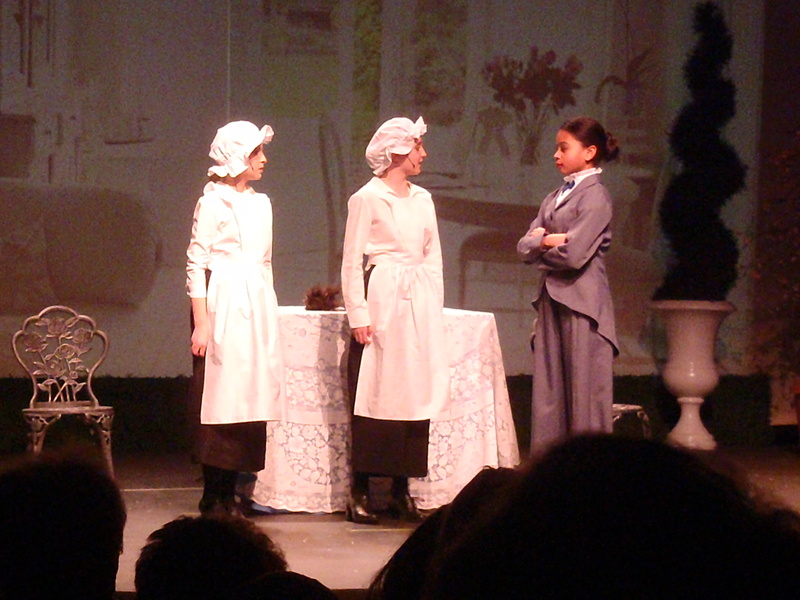 Here are some pictures of the play. 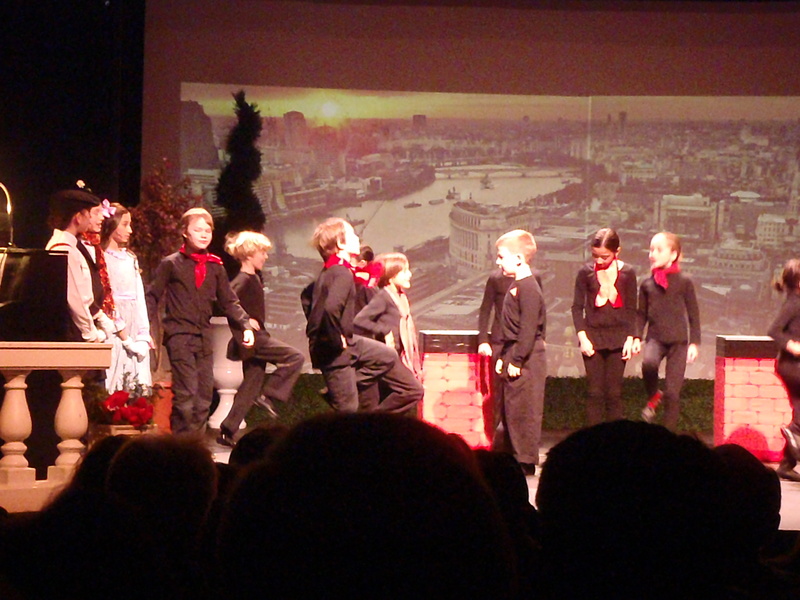 First, the cutest chimney sweeps that ever danced on a rooftop. E is the one with the floppy blonde hair. Each sweep needed a touch of red on their black outfits. It was a very clever idea and worked so well. The maid, the cook, and Katy-nana. I totally wanted to make one of those aprons for myself. But then I reconsidered. My kids already think of me as their personal maid. I don’t want to solidify the image for them. 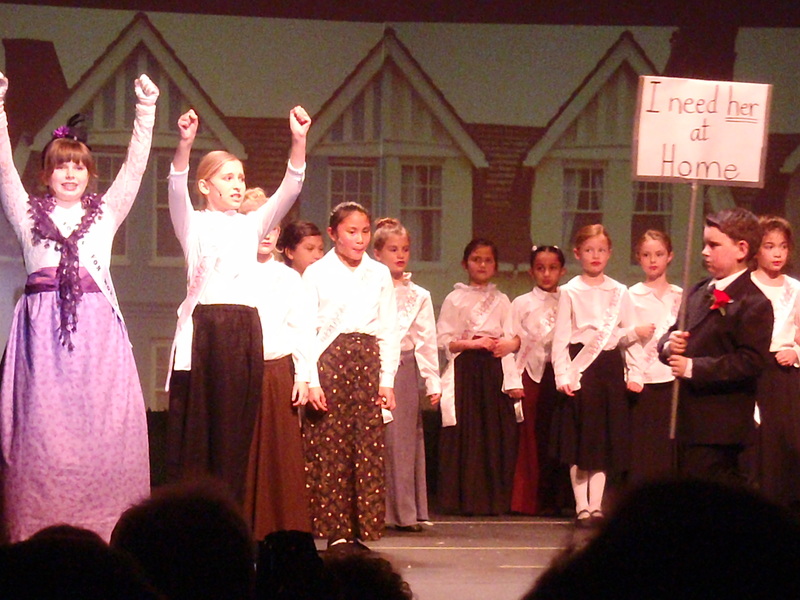 The banners/sashes were soooo tedious to make. I could do 4 letters at a time and then I had move the fabric in the embroidery frame. And the pictures of them aren’t good, but you can see the bright red lettering on the white satin pretty clearly from the audience. All those white, muslin pinafores! A close up of the pinafores. So cute! I loved making the pinafores. 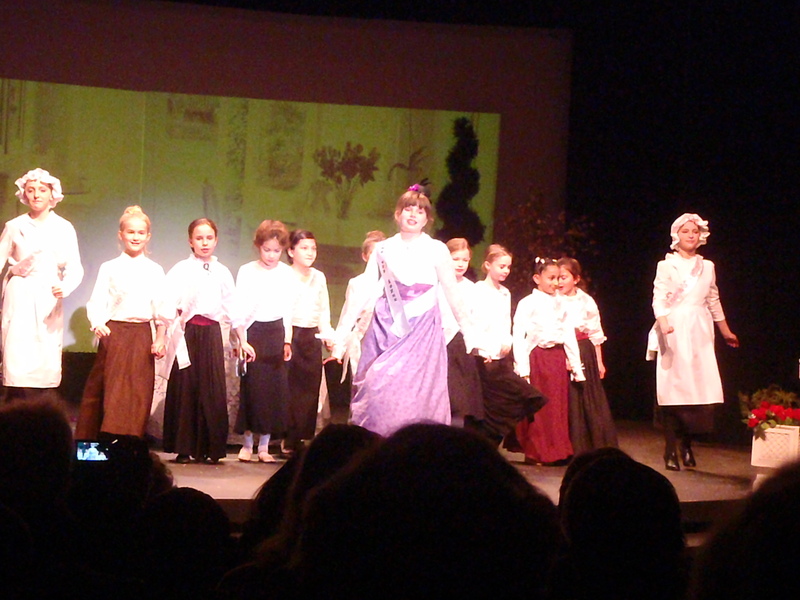 They were so cute and I put lace on the shoulders of all of them and did pin-tucks to give the skirts some volume. Well done! 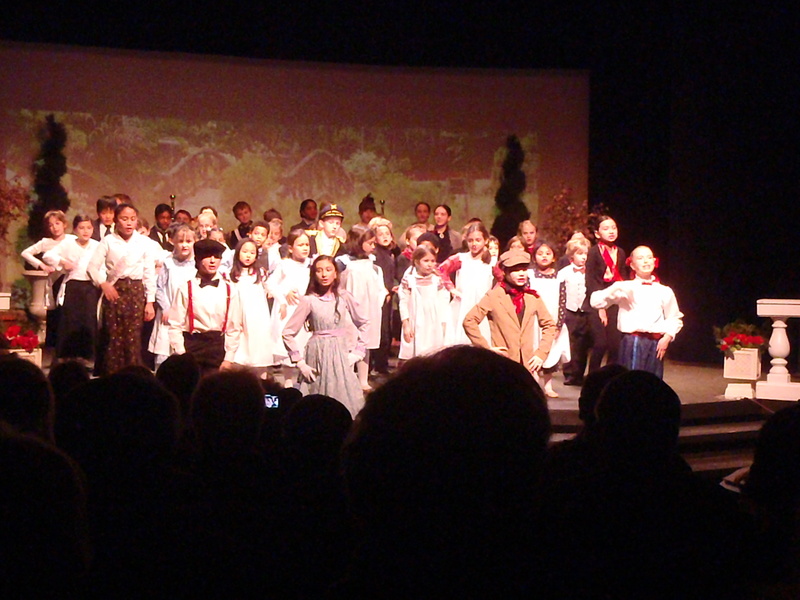 Brava and Bravo to E and his school! Consider resizing your photos so we can see your handiwork better. The photos are now resized.